What happened in Gaza…and why? 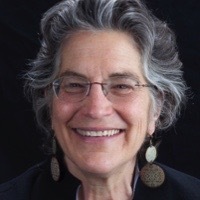 Phyllis Bennis is a fellow at the Institute for Policy Studies in Washington, D.C., where she directs the New Internationalism Project. She talks about what happened on Monday, May 14, when 60 Palestinian protesters were killed and 2400 injured; how the history of US-Israel relations informs the current political situation; and how this conflict is contextualized in the larger geopolitical reality.